The Honda Gold Wing is an incredible thing. Not many bikes can claim as many firsts as Honda's ultimate mile-muncher. Fuel injection, reverse gear, self-levelling suspension and motorbike airbags were all seen first on the Gold Wing. Yes, they're enormous and some sneer at the car-like qualities they possess, but since when did discomfort become a prerequisite for being a biker? Depending on the age of Gold Wing you go for, look out for GPS, six CD stereo, cruise control and heated everything. The flat-six engine versions post 1988 should keep on rolling for a long, long time if they’re looked after, so a good service history means more than a high mileage. 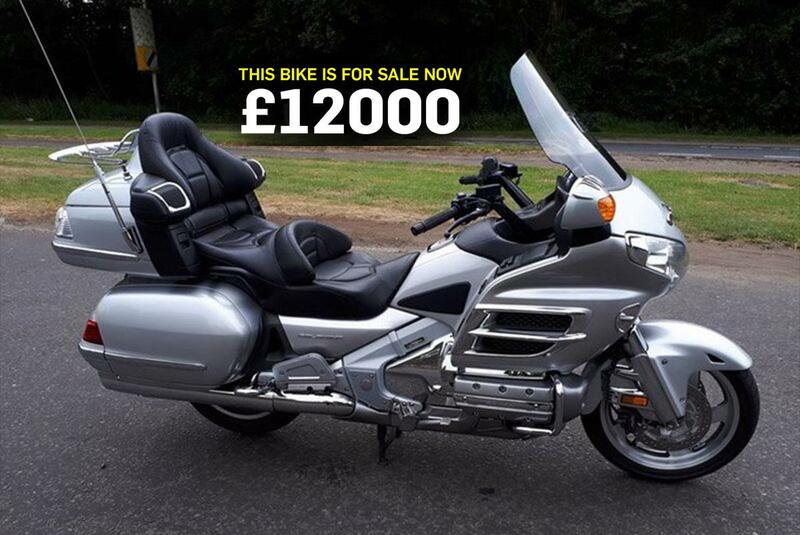 "This silver Gold Wing was a top of the range example of the GL1800 A-8. It has ABS, GPS, air bag, heated seats and grips and a luggage rack. It has had four owners from new and has been very well looked after. The current MOT expires in July 2019." Find Honda Gold Wings for sale. U.S. Wings recalled. UK next?